Max. Suction Lift (ft.) 24.5ft. Total vertical discharge up to 95'. Maximum suction lift of 24.6'. Echo Water Pump On Sale!! 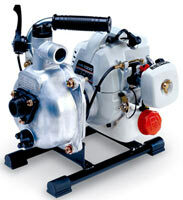 Questions on the Echo WP-1000 Water Pump? is ideal for pool drainage and lawn & garden irrigation. 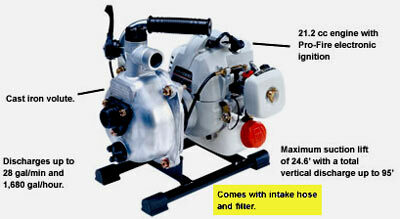 The Echo WP-1000 Waterpump has a Total vertical discharge of up to 95'. The Echo WP-1000 Waterpump Maximum suction lift is 24.6'.